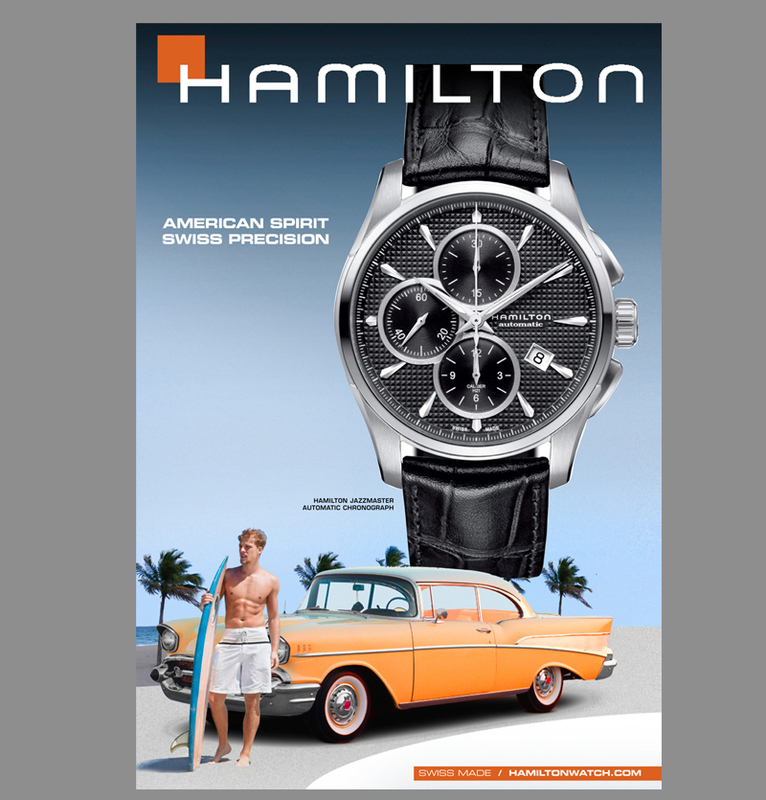 Hamilton is the largest global watch manufacturer in the Swatch Group. 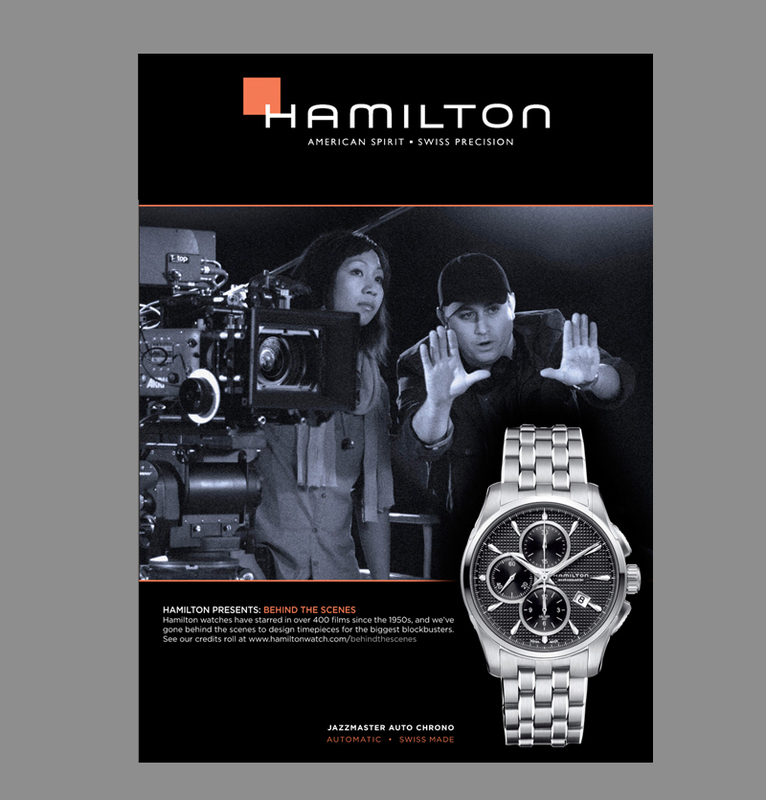 Hamilton boasts a strong aviation heritage and has a resilient foothold in Hollywood with products appearing in over 400 films. We tied the brand to its Hollywood roots by developing a campaign that provides an exclusive inside look at the craft of filmmaking. Creative executions include magazine print, rich media banners, retail, and website development.